If you think Russian frigates are cheap, think again. Surprising that India still bought Russian frigates when they can make they can already make frigates, destroyers, and even aircraft carriers of their own. “New Delhi and Moscow have finalized the terms of a contract for four new stealth frigates that Russia will deliver to the Indian Navy [IN] for approximately INR200 billion [USD3 billion], or nearly INR50 billion [USD775 million] per ship,” the newspaper says. Two Project 11356 frigates are planned to be built at the Yantar Shipyard (a subsidiary of the United Shipbuilding Corporation) in Kaliningrad. The remaining ships will be built at the Goa Shipyard in India. “The deliveries of the ships will start within four years since the sealing of the relevant contract,” Business Standard points out. The IN now operates six Project 11356 frigates delivered in 2004-2013. Therefore, service will get a total of ten ships of this class. According to Business Standard, the armament suite of the four Project 11356 frigates to be delivered to the IN will be identical to that of the second three frigates supplied to India between April 2012 and June 2013. 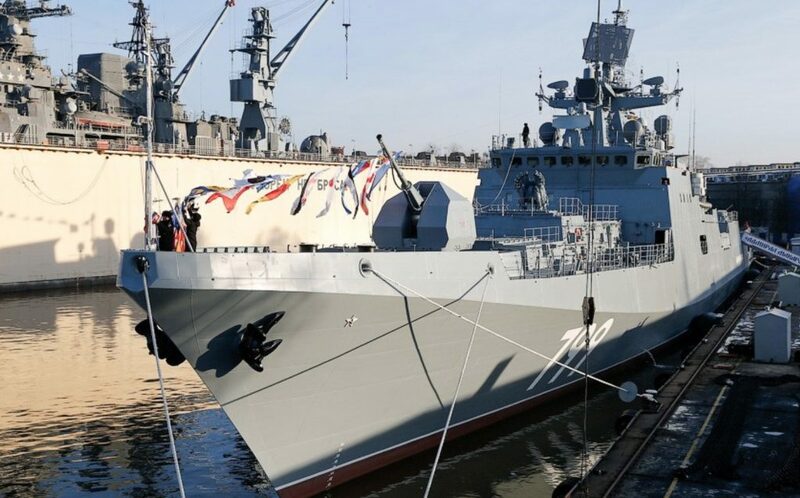 “These new Krivak III [Grigorovich-class] frigates will have the same engines and armament suite as the last three frigates, namely, INS Teg, Tarkash and Trikand, including the BRAHMOS anti-ship and land-attack missiles,” the newspaper says. At present, the IN operates 140 warships. The service is planning to increase this number to 198 by 2027.